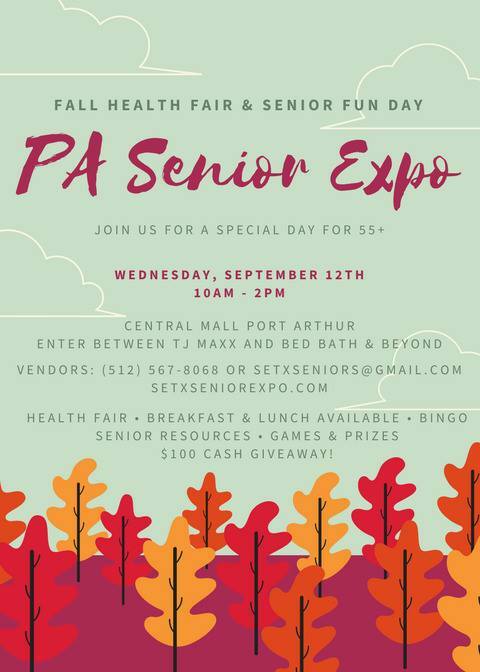 The Port Arthur Central Mall Senior Expo is a seasonal highlight for Mid County senior citizens AND senior marketers. Senior service organizations and companies are invited to interact with the Southeast Texas senior community at the SETX Senior Expo- Central Mall. The popular event will bring seniors (55+) to Port Arthur from across the Golden Triangle. This Golden Triangle senior event has been custom designed from the ground up to get away from the “senior trick or treat” element of many senior expos and health fairs. This frees you – and the seniors – to enjoy quality time together and to begin a relationship. Our experience is that senior citizens spend significantly more time with vendors when there is not a “free for all” for giveaways. They ask questions, take notes, and schedule follow up consultations. Some categories will fill quickly; early registration will ensure your space. We will see you at the SETX Senior Expo Series – Lumberton, Port Arthur, and Jasper TX.